Your trip to Japan wouldn't be complete without visiting a character cafe or two! 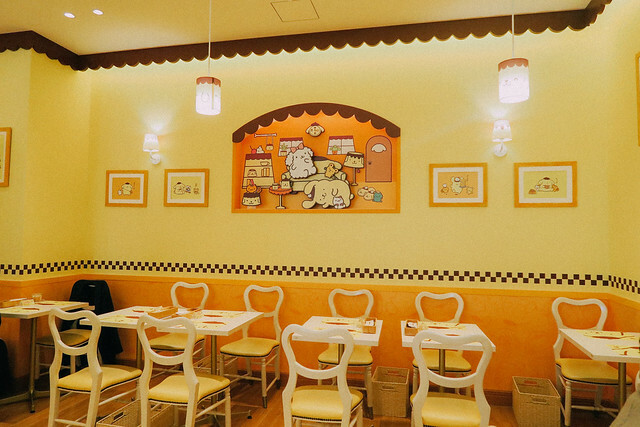 Character cafes are super popular in Japan, and there are many different characters cafes everywhere. Some of you may not prefer dining in character cafes because of 1) the price 2) the queue 3) the food (food in characters cafes is cute, but not always delicious). 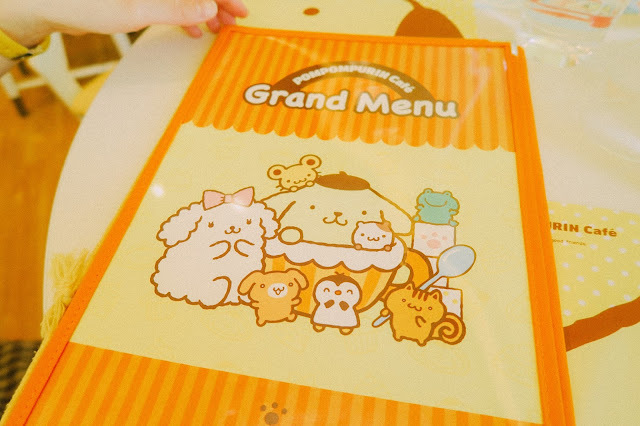 But as for a sucker for everything cute like me, I really don't mind giving such cafes a try despite the price and food quality lolol. 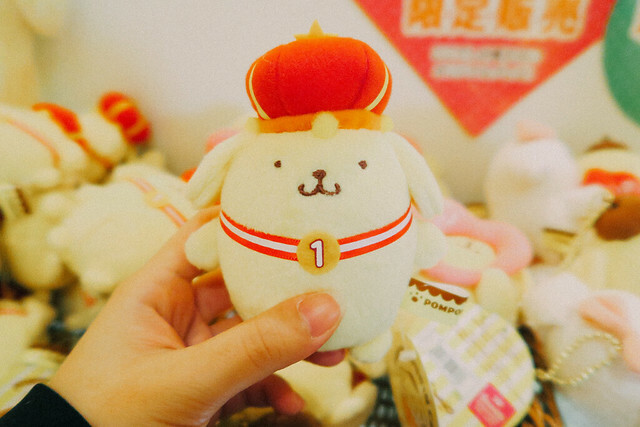 As long as I can take cute pictures, then I am already content hahahahaha. But seriously, if you come at 12pm, you will need to queue for more than half an hour! 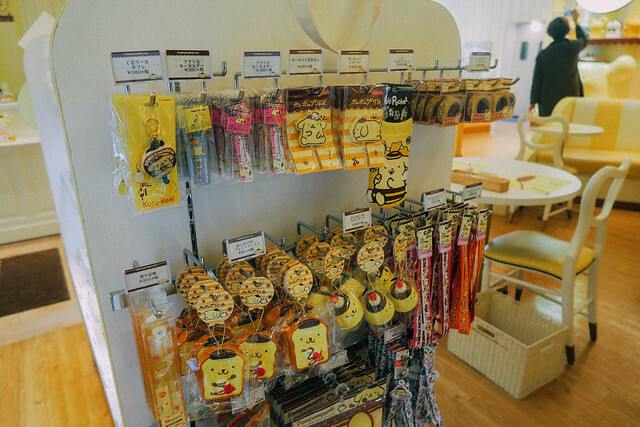 Just like every other character cafe in Japan, you will be able to find cute merchandises (some which are of limited edition) of the character in the cafe itself! I would rate 10/10 for the interior!! 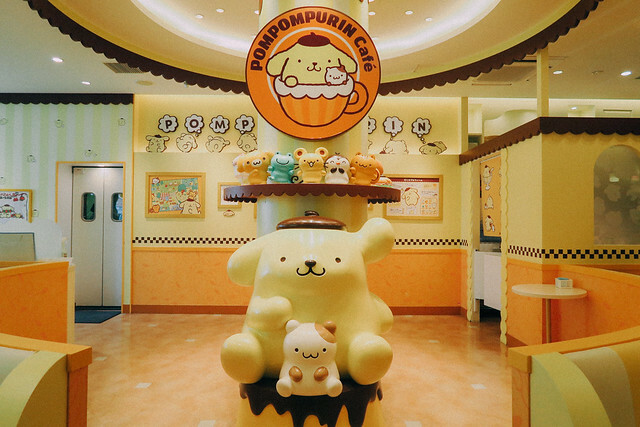 A huge Pompompurin sits right in the middle of the cafe, smiling and welcoming you with his friends. 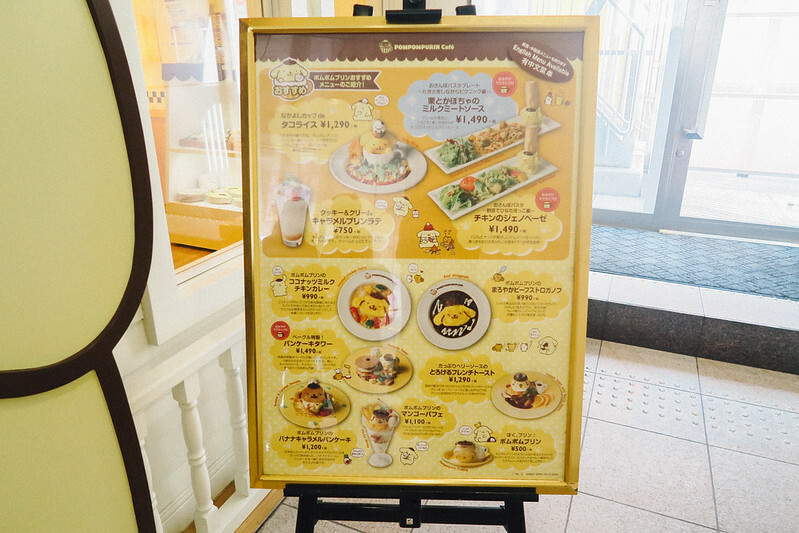 Bagel Special Pancake Tower, 1490 yen. 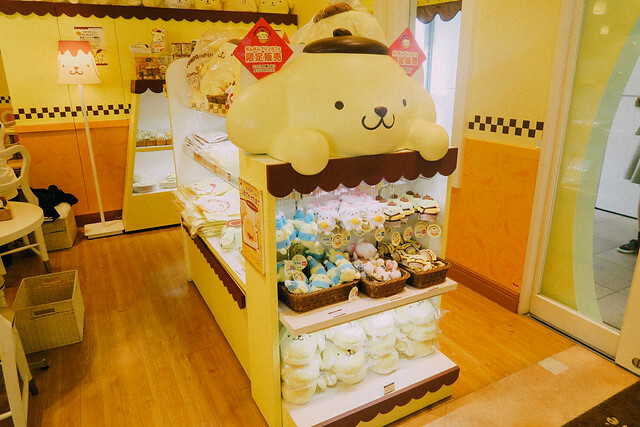 (Comes with a complimentary Pompompurin mug! 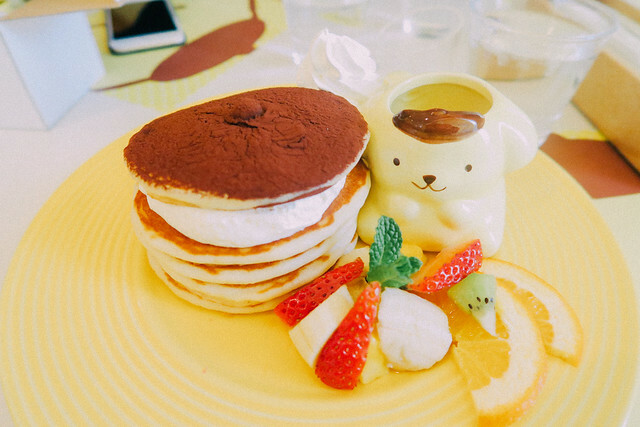 Yes, it's the one beside the pancake). To be honest, I think the pancake was GOOD!!! 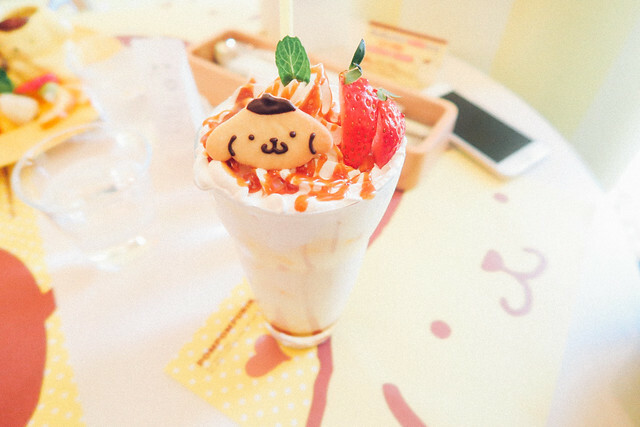 I mean, it looked good (and cute) for sure and it also tasted awesome! Soft, fluffy, buttery and tasted super good with the whipped cream. Such a a sinful indulgence! 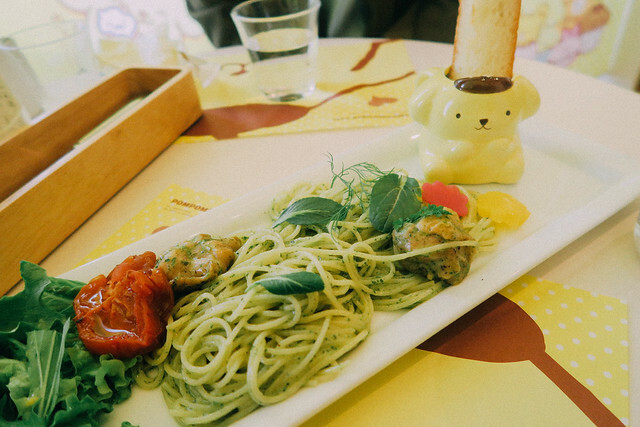 Forgot the price of this dish already, but it was a little too salty for our liking! 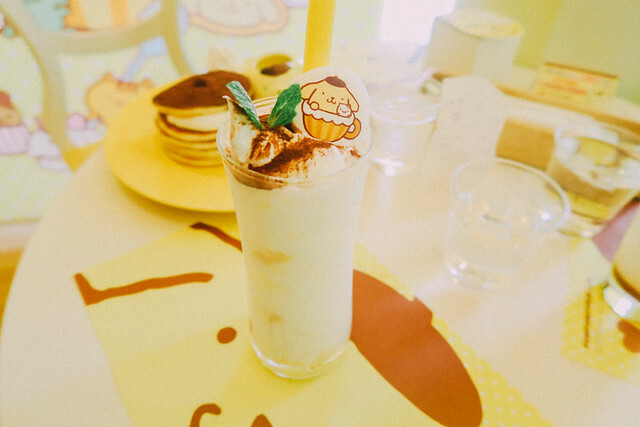 Gelatinous Pudding Shake, 790 yen. This is a sweet, gelatinous and milky drink with crushed pudding. 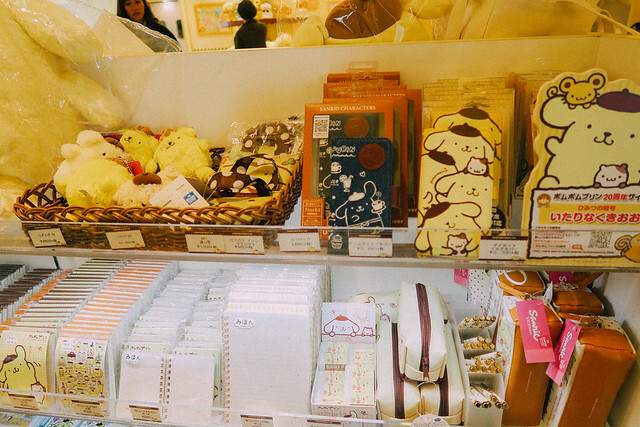 Can you also spot the super adorable marshmallow on top?!?! Cookies & Cream Caramel Pudding Latte, 790 yen. You will never go wrong with cookies and cream - oh, and also caramel. Needless to say, this drink definitely stole my heart away! 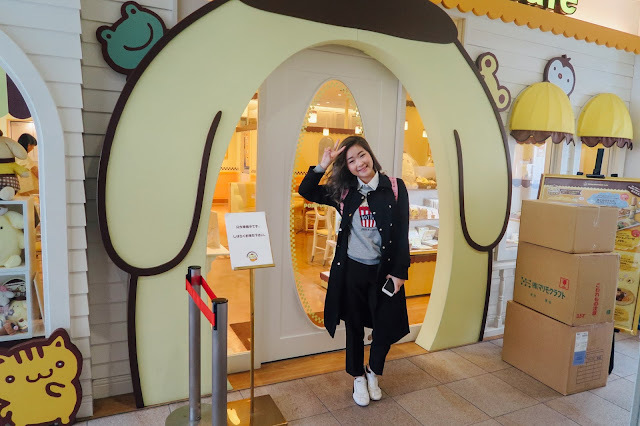 Anyway, I have a vlog for this cafe too so feel free to watch if cute cafes (and Harajuku) is your kind of thing!